Thanks for your email. I am a little confused after reading your email. 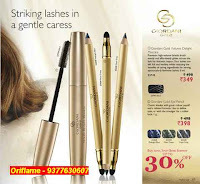 Do you want to join Oriflame in Delhi or you want me to send you the products by courier. If you are going to buy every month but your quantity is small then you will not benefit much. The key this is this - are you buying for your self only or for your family and friends too. I have a big team who can support you in what ever decision you take. Just let me know. For buying Oriflame Products you can sms me you name, address and products you want on 9377630607. I will ask someone from my team who lives near you to give you the products. 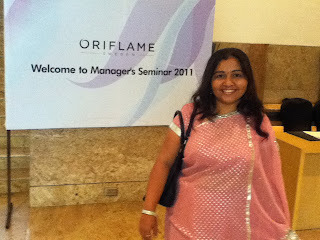 For joining Oriflame you can click here to fill the Oriflame Membership Form. hi jashmi , i m parul tyagi mei bhi oriflame member banna chahati hoo.... aap mujhe product de sakte hoooo....mei delhi mei pandav nagar (near mother dairy) mei rehti hoo ....or mei ye bhi poochna chahti hooo koi extra charges hoga to vo batana...........mei har month mangana chahati hoo .....kya aapke artist wala facepowder jo teen mahine pehle offer aaya tha vo hai kya .....?.or aap mujhe order courier ke throgh bhejenge to uska charges hoga? Hi Jashmi, I just want to buy products, I dont want to join because I dont buy every month. Is it possible? If you are clear that you are not going to buy Oriflame products every month than it is wise to just buy the products from a Oriflame Consultants. As mentioned above you can sms me the products you need along with your full name and address on 9820850522. I will ask someone who is near you to get it for you or I will send them by courier. What ever works best and cheapest.